Home / Development / Is Star Citizen a crowdfunding black hole? Is Star Citizen a crowdfunding black hole? At the time of writing, Cloud Imperium’s crowdfunding juggernaut Star Citizen has raised $89.2m from nearly one million backers. It’ll likely make an extra million or two by the time this reaches you. But after raising such vast sums and becoming the poster child for crowdfunding, this, combined with a few years of development and no full release in sight, has seen the game attract strong criticism. Some have even gone as far to call the whole project a con, and even threaten legal action over promises made. Progress continues regardless, even if a fully ‘finished’ version is far off. When asked if there’s a general misunderstanding of the work that goes into development of such large titles that are opened up to the public from the very start, Cloud Imperium CEO Chris Roberts tells Develop that more could be done to teach consumers the truth of game creation. “There’s definitely education that has to happen on that side of things,” says Roberts. “Some people understand, some people don’t. One of the challenges, and this is true of all crowdfunding, is that people have been shielded from what it takes to make a game. 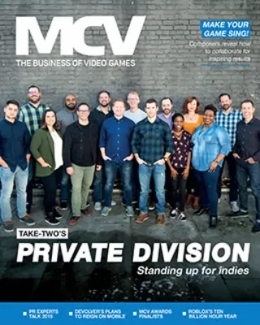 With publisher-funded games, you don’t see them for years, and pretty much most of them slip the schedule – you just don’t know it. 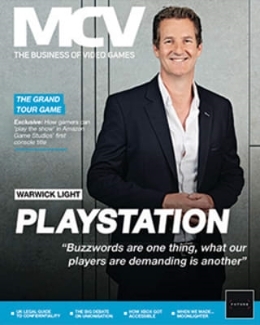 “The publishers don’t tend to announce the game until it’s fairly far along. A lot of times you don’t even get it to that point and the game is canned or cancelled, or redone. Roberts blames some of the impatience for the full game on an instant gratification society, joking the patience of humanity has decreased as time has gone on. It’s one of the reasons why Cloud Imperium has chosen to open up sections of the game early, such as the hangar, dogfighting module and social hub. This, he says, offers an opportunity for users to play and stress test features, provide feedback and make them feel as though progress is actually occurring. Though with a number of critical articles popping up across the internet, and some backers demanding refunds, it’s a tactic that appears to be affording it less and less time. But raising $85m, to be invested solely toward the game’s development, has become a colossal task for the studio. It’s making one of the most expensive games of all time. From a small team of 20 scattered across the globe in its early days, Cloud Imperium now employs 255 staff and has studios in Austin, LA, Manchester and Hamburg. It also outsources work to companies around the world, adding roughly another 100 staff heavily involved with the project. The network of developers requires huge amounts of management and communication between studios. Roberts says that though it doesn’t have things working perfectly yet, it’s something the team is constantly looking to improve. 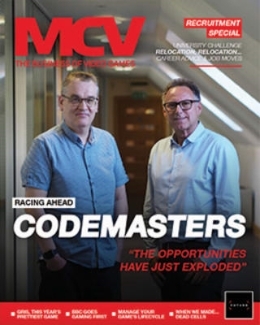 It’s why it has now codified its practices across all its offices, with the US studio having previously run production differently from the rest. One of the challenges, and this is true of all crowdfunding, is that people have been shielded from what it takes to make a game. Despite having relied somewhat on outsourcing, Roberts says he’s also moving away from the contractor side for both control reasons and cost effectiveness. Even though it was founded in the US and has studios placed around the world, Cloud Imperium is taking advantage of the UK’s games tax relief and is heavily investing in its Foundry 42 office in Manchester. As well as management of both expectation, rising numbers of employees and new offices, such as the newly opened Frankfurt studio, Star Citizen also represents a significant technical challenge. 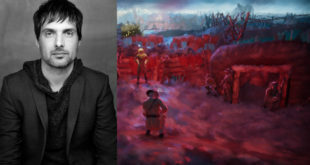 When Roberts was first building the game, he decided against developing a custom engine for the title, stating he’d rather spend that engineering time modifying and improving existing tech than create something from scratch. 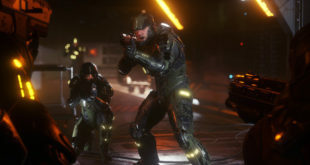 After a choice between an early version of Unreal Engine 4, which he said at the time was consistently being revamped, and Crytek’s powerful CryEngine, Roberts chose the latter. But either way, Roberts says at the time both game engines weren’t really built for massive open worlds of the scale he had envisioned. 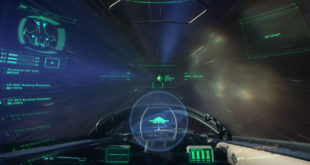 “The big challenge for Star Citizen is that you’re in space, so you’ve got millions, or billions of kilometres, and a 32-bit flow does not have the precision to represent the numbers in a way that works well for the rendering,” he explains. Roberts says to stop problems cropping up, such as a lack of precision with geometry and floating points, the initial team of 20 staff spent ten months refactoring CryEngine to 64-bit. But all that work has still proven time and cost-effective. “The other thing we had to do is the fact we have large areas of nothing, no data, out in space,” he says. “Then you’ll have areas of high density like an asteroid field or a big ship, because the inside of a big ship is basically like an FPS level. So we needed a way to essentially have variable data frequency. 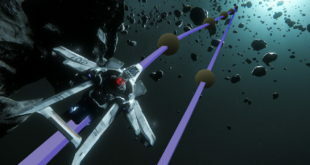 The system Roberts refers to is its special zone system, that tasks the game with rendering ‘containers’ – or space – that the player is occupying. For example, he explains that a planet is a zone, and in orbit around that might be a space station, which is another zone. Then inside that space station, each of the rooms would be their own zones. “What that allows you to do is partition the data in relevant areas to where you would be inside and it also allows you to stream the data intelligently as you move around the universe,” he says. “So that’s another big thing we don’t want to have: loading screens. So as we fly around, as we get close to the planet zone, the game knows it will start asynchronously streaming this data in the background. So after raising $85m and running a series of stretch goals up to $65m, and promising to invest it all into a game with a persistent universe and no loading screens, has Cloud Imperium Games indeed done what its critics fear: has it become too ambitious? Is it now dogged with feature creep? And will it ever be finished?